It’s time for my EasyFlex review – because it’s a joint supplement that seems too good to be true. Basically – EasyFlex doesn’t contain anything amazing. However, it’s highly praised on the official website. That’s what made me doubt it from the start. So is EasyFlex a scam – or it’s just a bad first impression? I tried to dig deep into this product and here’s what I found out. Note: This review is based on my opinion – not on general info about EasyFlex. I’m not trying to praise/criticize this product or its company, I am simply telling my opinion about it. Designed For: Joint health and mobility – according to the label. My Rating: 5 out of 10 – It’s the price that made me rate it so low. EasyFlex is surely not a scam, it’s a pretty good product. But at $70 per bottle, it’s way too overpriced. As I said – turmeric supplements work better overall and cost under $30. So that’s what I would choose instead. Now – EasyFlex contains 3 ingredients. All 3 are registered trademarks of 2 different companies. This means they have a better absorption and a higher bioavailability. Obviously – trademark substances are a lot more expensive than their regular forms. And that’s why EasyFlex is more expensive than similar products. However – the 3 trademarks don’t explain why it’s $70 per bottle, which is a really huge price. In my opinion – it’s way too much for what it does. But now that you know what to expect – let’s analyze EasyFlex closer. Now – it’s true that all 3 are registered trademarks of other companies. But to me – that doesn’t make them more effective. Now – Longvida is actually better than regular curcumin. It has a higher absorption – so it needs a lower dose. However, I’m not sure if 400 mg are enough – since a regular dose of turmeric/curcumin is over 1000 mg per day. Compared to other supplements – 666 mg is a really high dose. Also, 40 mg seems to be the regular dose – according to studies. Now – I personally didn’t have amazing results from this ingredient, so I consider it pretty weak. But it’s surely not a bad substance for joint pain. Conclusion: I doubt 3 ingredients are worth $70 – even if they’re trademarks. For these money – you can buy each separately as a 3 months supply. 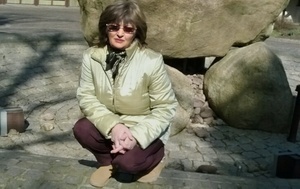 Now – I did not take EasyFlex myself, so I can’t show you how exactly they are. They have an average size. You can swallow them easily – they’re not too large. You only have to take 2 per day. I think it’s better to take them after eating. There isn’t a lot I can tell here – you can find the recommended dose and advice on the label. But as I said – I recommend taking the pills after eating. Both Turmeric and Boswellia can cause side effects more often if you take them on an empty stomach. So food should protect you. 2 pills per day is pretty comfortable. But I would have given them a 10 out of 10 if there was only one. As I said – I haven’t tried out these pills personally. It’s one of the few supplements I reviewed without trying. But considering I tried many similar products – I think I can get an idea just by seeing the ingredients. Plus, I checked out several customer opinions on independent websites. Helps joint inflammation and pain. Results depend a lot from person to person. Doesn’t help serious problems (like osteoarthritis) that much. Many customers were complaining about it – mostly because of the price. All positive reviews are only on their website. Those reviews also seem kind of questionable (more on that later). So EasyFlex is surely not a miraculous product. Nor it’s as good as the official website claims. I can tell that after the ingredients, but that matters less. The best proof are the negative reviews I found – and the low number of positive opinions. So that should speak for itself. A bottle costs almost $70. That is enough for just 1 month. You also have to pay around $5 for shipping. You can only buy it from the official website. Its ingredients aren’t extremely special. So honestly – EasyFlex is extremely expensive for what it offers. Even if it was the best joint supplement ever – I still wouldn’t recommend it. There must be something that really works and doesn’t cost a small fortune. However – trademark ingredients never worked better for me. So I would definitely prefer a product with the regular form of ingredients – for an average price. In my case, the results were always similar. Therefore – I would surely not recommend EasyFlex. For $70 per bottle, it’s definitely extremely overpriced. It has a doctor’s recommendation on the official website. However, that doctor is a cardiologist. He mentions all the benefits of EasyFlex for joints. To be honest – I didn’t really understand that. Cardiology has absolutely nothing to do with joints and cartilages. So why is a cardiologist recommending this supplement – and mentioning how good it is for the joints? Now – I can’t really tell if that’s the explanation. But I personally wouldn’t listen to a cardiologist’s advice for joint problems. That’s why I find it pretty weird. In my opinion – these are the most important things about EasyFlex. In my opinion – they could use more ingredients in their regular form (not trademarks). In this way – the final price would be much lower and the effect really close. Now – EasyFlex should help joint inflammation at least a bit. It doesn’t have bad ingredients inside. But it doesn’t seem as good as the official website claims – that’s all. And honestly now – its ingredients aren’t worth that much. Nor is it – overall. You can find a much better joint supplement for less than $30. So why pay $70 on EasyFlex? Just because it has trademark ingredients? If you ask me – they’re not worth all that. My Verdict – Is EasyFlex Worth Buying? Short answer: Definitely not – it’s way too expensive. It’s surely not a bad product or a scam – it contains trademark ingredients in some decent doses. So it has to work – even a bit. So to be honest, I wouldn’t recommend EasyFlex mostly because of its high price. It does have a money back guarantee. But I read many reviews of people complaining about that. So I personally wouldn’t pay $70 on EasyFlex when I can get something much cheaper for less than half. Obviously, you can choose whatever you want – but that’s what I would buy instead. My Australian Dream Cream Review – Good Enough For Arthritis? I used it and I can tell it works! But true, it is really expensive. I received it from a friend who sells these supplements in other countries (guess he has some kind of contract with the company). So I didn’t pay anything on it. 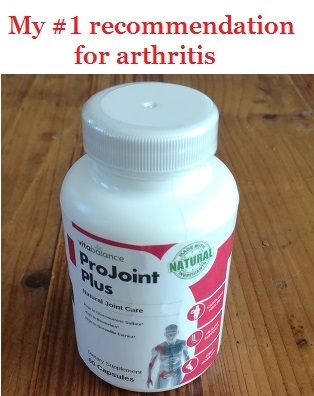 I was glad to see my joint pain got better after one bottle (I have had juvenile arthritis since my teens). Was going to purchase more, but I have to get in touch with my friend again because I can’t afford paying the price online. Thanks for your consideration on this Easyflex supplement, hope my opinion is useful. Hi J, your opinion is surely helpful – thanks for letting me know it. It’s great to hear how EasyFlex really works, since I didn’t try it myself. But as I suspected, it does work for inflammation. If you had OA or cartilage problems, I doubt it would have been so effective. EasyFlex has some really good ingredients inside, I already said it. And since they’re trademarks, they are more expensive. But the overall price of this supplement still seems way too much – even with 3 trademark ingredients. Anyway – I totally understand why you don’t want to buy it online. It’s way too expensive for anyone, if you ask me. So it’s better to wait for your friend (I had no idea companies do this kind of business with people, but it’s great). In case you need some cheaper recommendations for RA – you can find them here.